paid till 30th of March 2016! 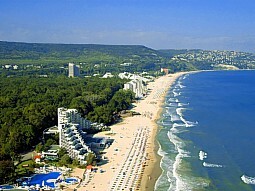 Luxury villa with pool located just 7 kilometers from the famous with its beautiful sunny and wide beaches Summer Resort Albena. The villa is located in the village called Tsarkva /Church/, it’s one of the largest villages in the Municipality of Balchik. 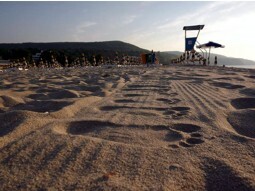 It is a quiet and picturesque Bulgarian village; there are living permanently about 500 people. 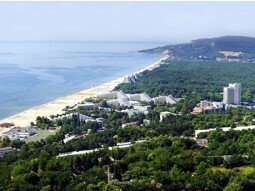 Communications are high; infrastructure is good, easy access to main towns Dobrich, Varna and Balchik. At the center of the village are three well-loaded shops. 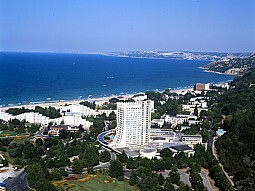 Summer Resort Golden Sands is only 15 kilometers away; City of Varna with its international Air-port - 25 km; tourist town of Balchik - 12 km. 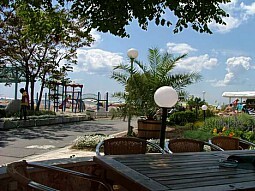 The villa is situated on two floors and is suitable for family holidays and has a capacity of 6 persons. 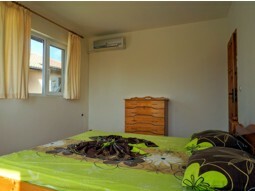 On the second floor have three separate bedrooms - two of them with double beds, third with two single. Each bedroom has its own air-conditioner. The house is serviced from two bathrooms with shower cabins. First floor of the villa is occupied by a spacious living-dining room faced the garden and pool. The living area offers comfortable sofas, armchairs and satellite TV, kitchen equipped with oven - four hot plates and oven, fridge with a freezer, toaster and all needed pottery; dining table with six chairs; air-conditioner. All rooms have mosquito fences. The villa is located in a spacious common courtyard with another twin house. 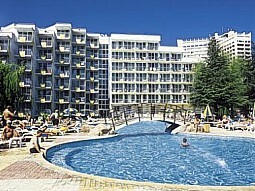 There is a well maintained swimming pool - depth of 1 m/1.5 m; sun-beds, BBQ, plastic table with chairs and big umbrella. Villa Damian, village Tsarkva, Albena - comments and recommendations from clients of ours and guests, who spend their vacations with us . 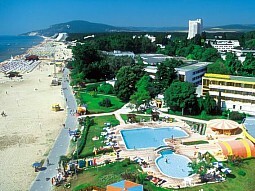 Albena resort is one of the most modern holiday resort along the Bulgarian Seaside coast. 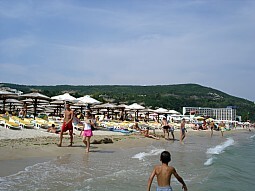 The resort is famous with long, sunny beaches and very beautiful forest where you will find many restaurants and places for relax.